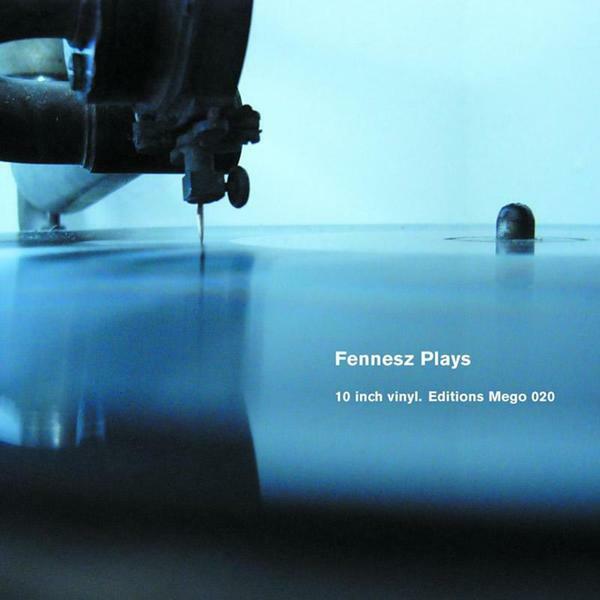 Without any question the most sought after release in the Fennesz cannon and originally only available on a rare Mego 7", 'Plays' is a seminal couplet of cover versions that overnight turned Fennesz into the face of organic laptop engineering. Starting with The Stones' 'Paint It Black' and closing through The Beach Boys' 'Don't Talk (Put Your Head On My Shoulder)', Fennesz exposes the skeletal core of these well-worn pieces and turns them into works of wondrous subtlety and sonic catharsis. Whilst no-one is likely to accuse the originals of lacking any kind of spark or vitality, it's nonetheless a thoroughly moving experience to see them recast as hushed aural tomes such as this - with Fennesz wringing out the familiar melodies and distilling them down into a slow-build of fizzing electronics, clicking interference, tender guitar and skipping soundscapes. Ethereal in it's tapestry of elements, 'Plays' is a beguiling aural document that takes the notion of the cover version and spins it off into a new place entirely - managing to apply the smallest of manipulations before magnifying them through a sonic camera-obscura to produce stunning results.